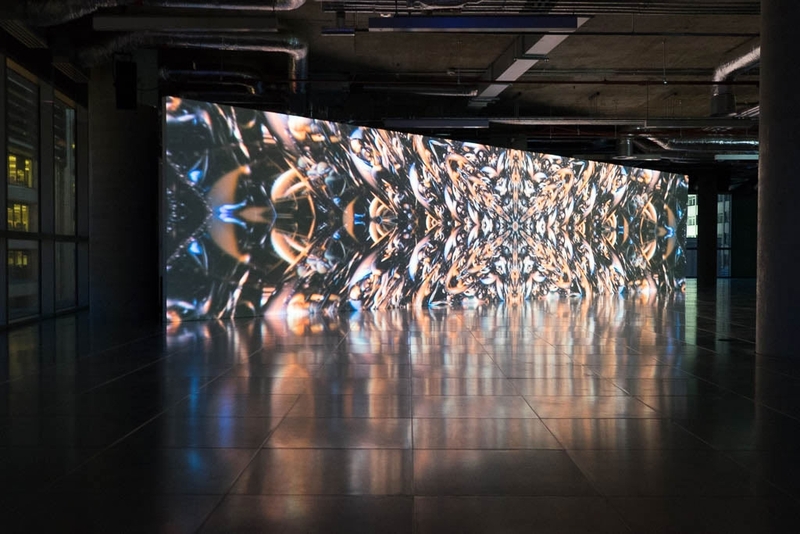 Lazarides gallery provided us with a great opportunity to provide our technical expertise and equipment for a special one night only show to celebrate the launch of 1 Commercial Road. 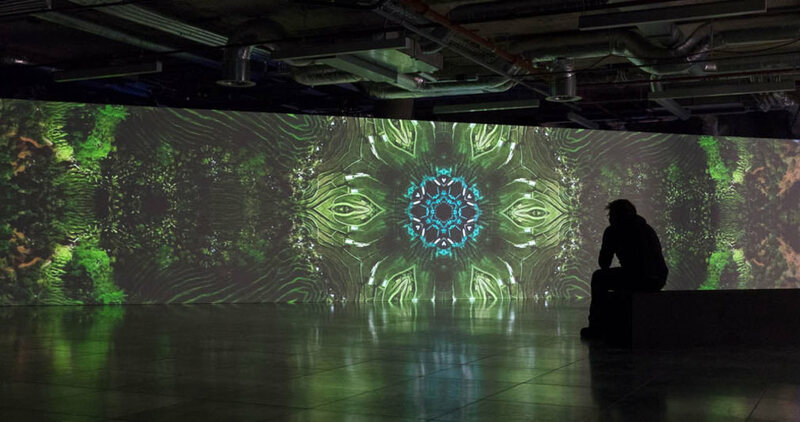 Two floors of the new residential and commercial tower at Aldgate were transformed into a huge immersive space for the event. 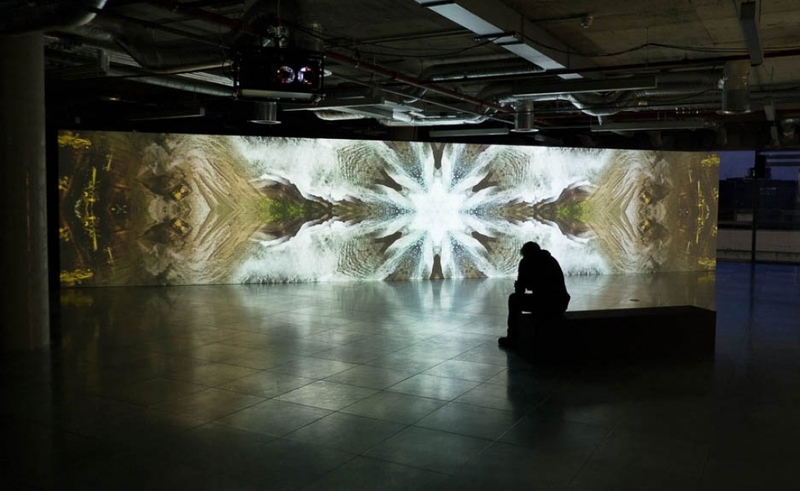 We installed blended projection for two 12.5×2.5m screens for projection artist Doug Foster, to show of his pieces; “Twisted Crystals” and “Islands of the Blessed”. 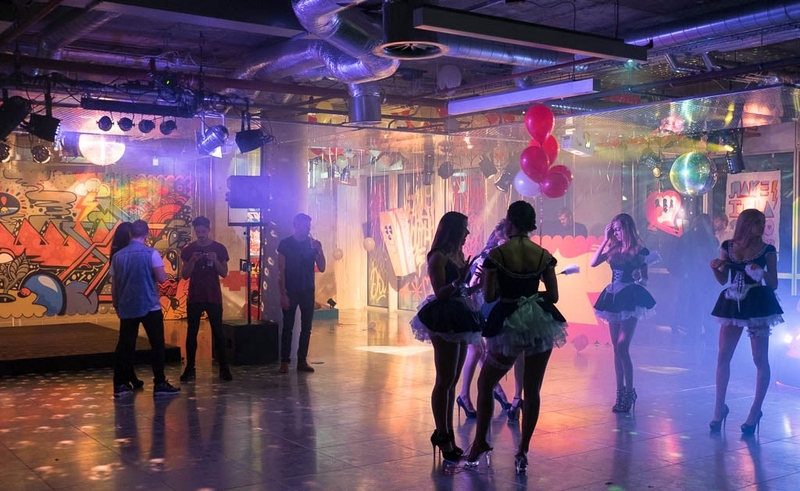 Lighting and sound were also installed for multi-disciplinary artist, Sickboy, who worked for days transforming the space into a fairground themed disco with Whinnie Williams also playing a set on the night. 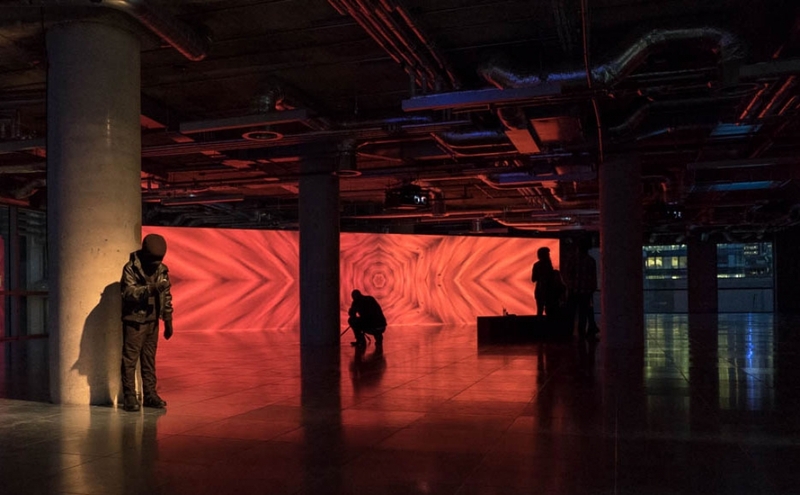 Other pieces exhibited and lit included something by Vhils, who created a piece cut directly into the wall of the building; Mark Jenkins also dotted around his disturbingly lifelike faceless figures. Sign up for occasional news updates and inspiration for your next project. © Event Projection 2018. All rights Reserved.